Whitworth on 2019 season: "I can’t wait for it. I’m just looking forward to the opportunity to get out there." 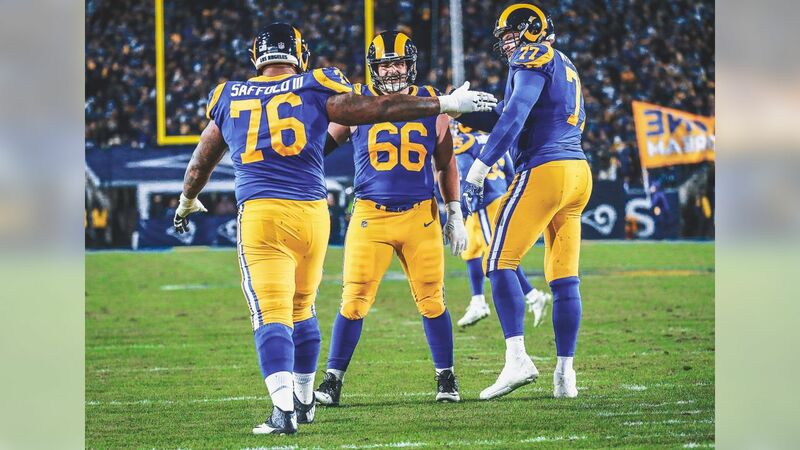 When left tackle Andrew Whitworth publicly announced his intention to play his 14th NFL season, he did so on social media with a quote. In an interview with therams.com that will air in episode two of Behind the Grind, Whitworth explained that he has a number of quotes in a note on his phone, and this one seemed to fit the situation perfectly. And now as he approaches his 14th season, Whitworth says he’s as fired up as ever to compete for a championship. “You know what? I’m excited,” he said. “If I can stay healthy for the very first game, it’ll be my 200th NFL football game. So that’s wild to think, and have an opportunity probably to — if I can stay healthy all year — pass 13, 14,000 snaps in the league, somewhere in there. And, you know, it’s just crazy — it’s crazy to think about. And I’m looking forward to it. For more on Whitworth and the rest of the offensive line, be sure to catch episode two of Behind the Grind when it premieres on Thursday, March 28.